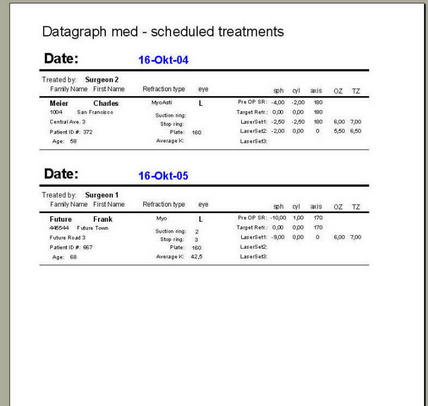 Datagraph allows to create two types of reports which can be printed and used to facilitate routine tasks in your clinic. The 'Scheduled Surgeries' report will display a list of patients scheduled for surgery. The determination whether or not patients appear on this list is the date of surgery entered into the file. If the surgery date is today or in future this patient will be added to this list.